So, I don’t know many people who don’t like bacon. That’s the reason you can get bacon inspired almost anything these days. From candles to vodka, bacon is everywhere. 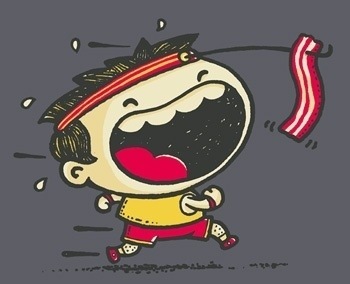 Now this post isn’t about bacon rather the idea of working out in order to eat whatever food it is you love. Awww…sad i know! 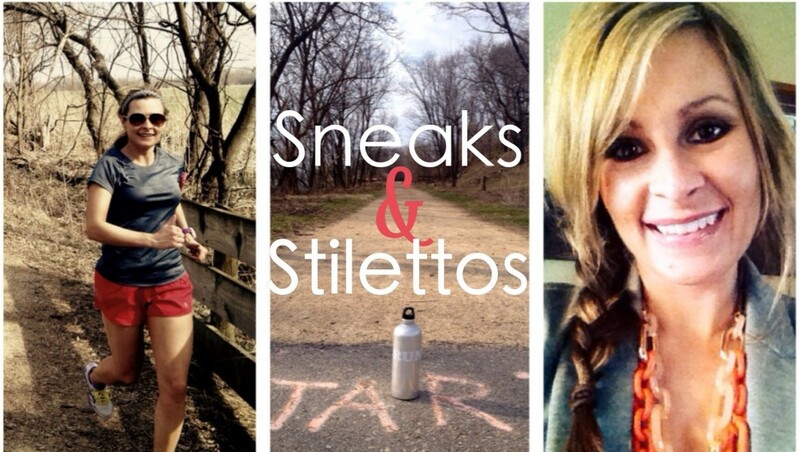 One of the reasons I love running is you can enjoy those foods you love without going up a pant size the next day. I’ve NEVER been one to black list foods or not allow myself to eat the things I really enjoy, however there are too many times when one treat becomes two or three. Lately as life got busy and stressful I found it hard to eat well. And now I can FEEL it in everything I do. I feel tired, I feel weak, and I feel lazy. My runs feel like crap. My face looks like I should have just turned 13. Today’s motivation is really about the balance between what we eat and how we feel. Since we really are what we eat, yesterday we went grocery shopping to bring back the healthy foods we like and need to eat. I Pinterested my way through a bunch of new recipes which I’ll share the best ones. 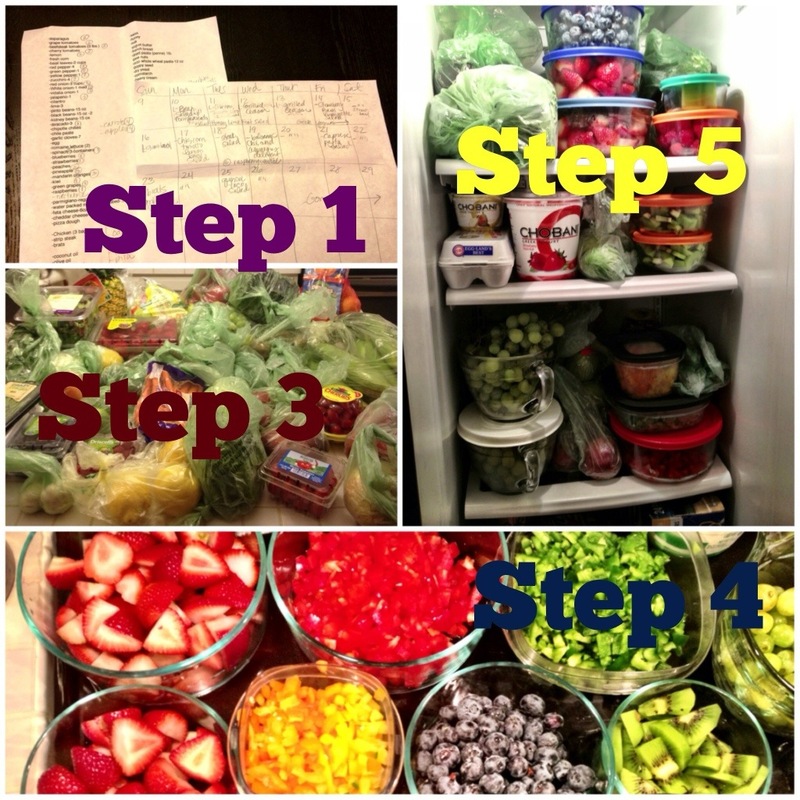 Getting organized is what I find to be the key to eating healthy and living a fast paced life. Step 1-Plan meals out and make lists of what you need to buy. Next to produce rank food with a 1-4. Ones are foods that spoil in one week, twos spoil in two weeks or less, etc. I got this idea from this blog where you can read more about how she sticks to a budget while buying healthy food. Step 4-Unpack groceries and cut up produce. Yes this takes time, 1.5 hours for me last night, but you are much more likely to snack healthy and prepare meals at home when busy if you’ve taken a bit of time to do this in advance. Step 5-Put food in refrigerator based on the number you gave it. Shelf 1=eat during week 1. These steps make healthy eating more convenient and you won’t waste any of the precious produce you bought. This week commit to eating well and making healthy food choices. Make your choices livable, ones you can continue with for life. Sure you can still have your bacon…or whatever your favorite food, but remember to balance it out with some good for you stuff too. Your mind and body will thank you!